If you were a fly on the wall of my home, I'm sure you would hear me repeat these two words often. They're used in the typical "I'm really NOT fine - I'm still pretty upset" way after a disagreement. They can also be translated: "I'm actually completely overwhelmed and I don't know how I'm going to get it all done before I run out of hours in the day!!!" In fact, I can rarely think of a time when the words, "I'm fine" actually mean "I'm fine". It's most dangerous when I use this phrase inaudibly. I say to myself (and ultimately to God), "I'm fine!" I can totally handle this mothering thing. I may not be the best wife, but I'm doing pretty good compared to the other marriages I see. This spiritual walk thing? I've got this! 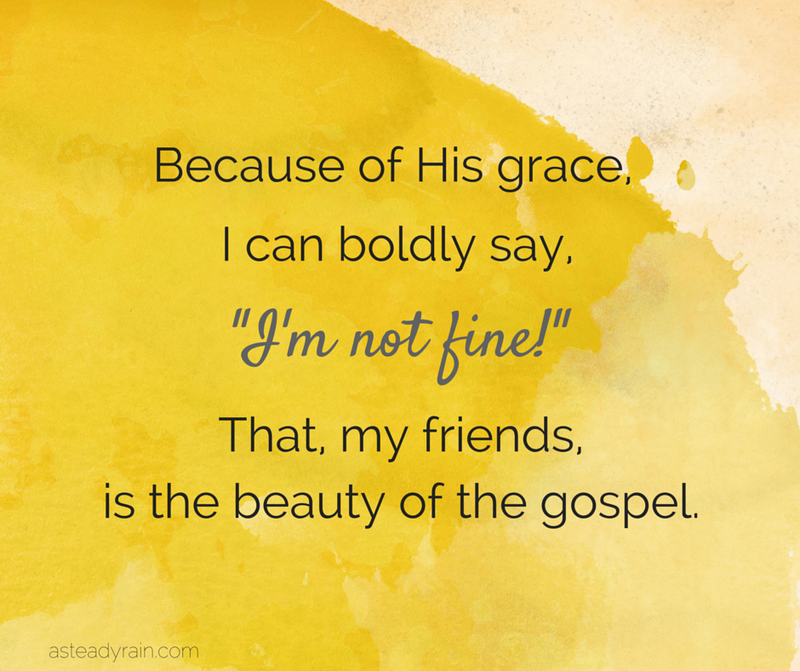 What I don't realize is that by deceiving myself about my "fine-ness," I'm actually limiting a display of God's power in my life. 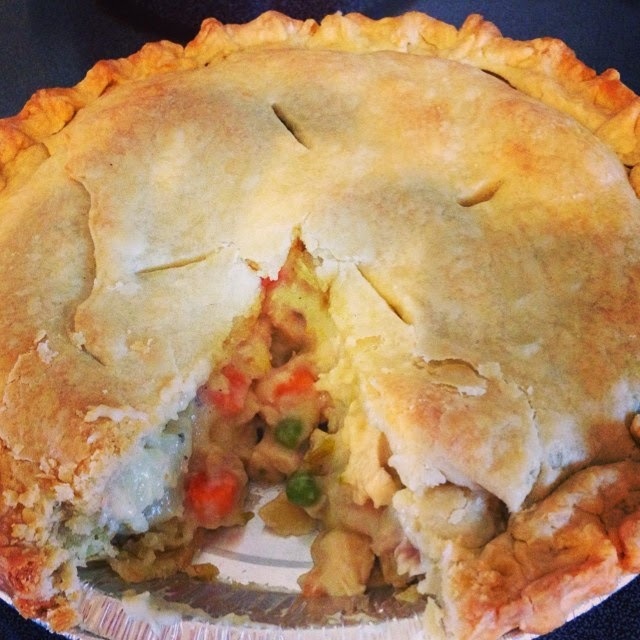 On Monday, a sweet friend of mine wrote me a message on Facebook to see if I would like her to bring a meal over for dinner sometime later in the week. Honestly, I was pretty surprised. Our church normally schedules meals for after babies arrive, and it seems "appropriate" to help a mom after she's just gone through the exhaustion of labor and delivery. I never expected someone to offer a meal when I was still relatively "mobile"! Can I be completely honest? My first thought was, "I'm fine." Sure we've eaten leftovers, frozen pizza, and PB&J for three out of our last four meals because I was so tired by 4pm, but I'm okay. She didn't need to go to the trouble of bringing us a meal. I wasn't completely desperate yet. I could handle it! I made wiser choice, though, and told her "yes". And let me tell you, friends, it was amazing! I didn't have to think about what my three hungry guys were going to eat. I didn't have to spend an hour on my (swollen) feet in front of a hot stove. We were able to sit down and enjoy some quality family time. Her hard work was a blessing to my family that night (and for a couple meals to follow!). I had to admit my weakness to receive her amazing gift! What convicts me, is that I behave the same way so many times towards God. Sure, I'll admit defeat when it comes to my eternal destiny. I KNOW I can't ever come close to the perfection God requires for eternal life. I need Christ's sacrifice for my justification. The problem comes when I start believing Satan's lies that I'm fine for the rest of this Christian walk. Sure, I may not be perfect, but I'm not completely desperate. I'm a fairly "good" person and I'm not a complete embarrassment morally to God's testimony. I'm fine. In believing that lie, I'm robbing God of the opportunity to be glorified in my weakness! I'm claiming a shallow glory for myself. In my pride, I'm focusing on my limited strength instead of His complete lack of weakness. The glorious truth of the gospel allows me to transparently admit my weaknesses and sin in order to point to His completed work for not only my justification, but sanctification and eventual glorification one day! "But he said to me, 'My grace is sufficient for you, for my power is made perfect in weakness.' Therefore I will boast all the more gladly of my weaknesses, so that the power of Christ may rest upon me." 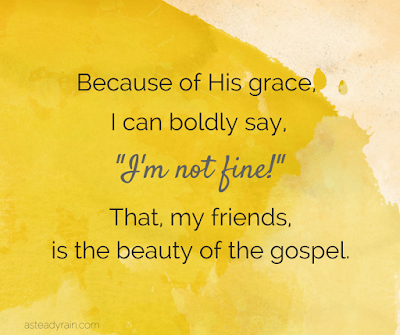 Because of His grace, I can boldly say, "I'm NOT fine!" and that, my friends, is the beauty of the gospel!